If you have any questions about the LADY ZELDA information page below please contact us. The motor yacht LADY ZELDA is a 40 metre 130 (ft) well sized composite vessel which was constructed by Christensen Shipyards and her design plans were devised by Christensen Shipyard and Howard Apollonio. 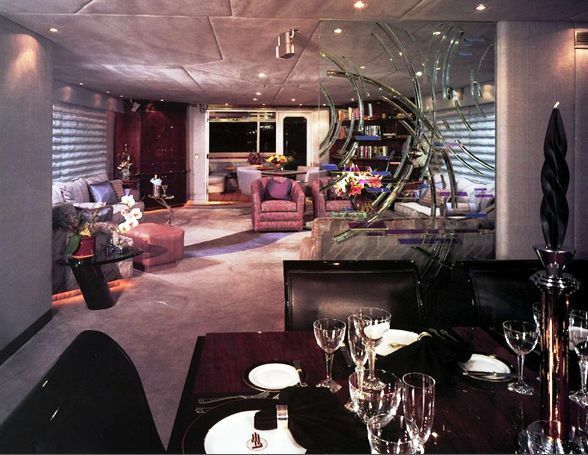 Sleeping 10 guests and 6 qualified crew, motor yacht LADY ZELDA was formerly Alteza ; Pacific Eagle. 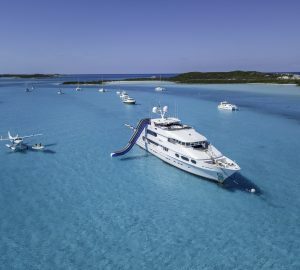 This private superyacht was created from a naval architect called Christensen Shipyard Design Team and Howard Apollonio. Glade Johnson/Susan Puleo/Pam Williams undertook her interior design brief. 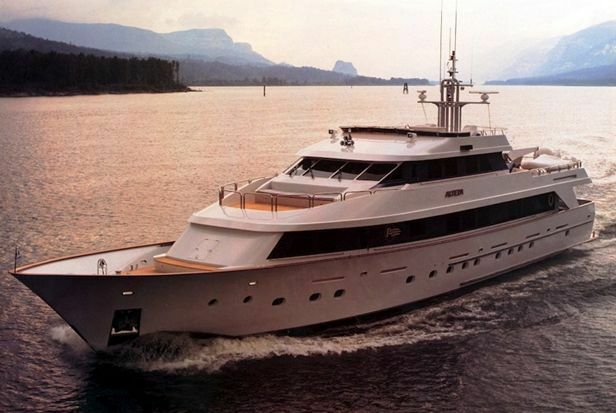 Christensen Shipyard Inhouse Design was the naval architect involved in the technical superyacht composition for LADY ZELDA. Her interior design was completed by Glade Johnson/Susan Puleo/Pam Williams. 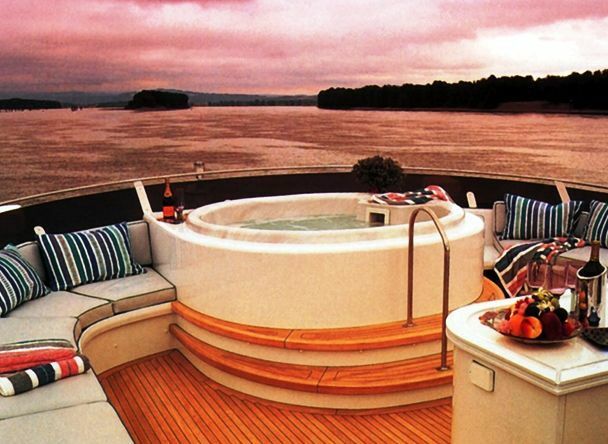 Christensen Shipyard and Howard Apollonio is also associated with the yacht wider design collaboration for this boat. Created by Christensen Shipyards this yacht was completed in the recognised yachting country the United States. She was officially launched in Vancouver Wa in 1993 before being delivered to the owner. The core hull was constructed with composite. The motor yacht superstructure component is made largely with composite. With a beam of 8.11 m or 26.6 feet LADY ZELDA has spacious room. She has a reasonably shallow draught of 2.04m (6.7ft). She had refit maintenance and alteration work completed in 2001. Powered by twin DDC diesel main engines, LADY ZELDA will attain a maximum speed of 17 knots. Her propulsion units are twin screw propellers. She also has an efficient range of 4000 miles when underway at her cruise speed of 14 knots. Her total HP is 2880 HP and her total Kilowatts are 2119. For bow thruster maneuverability she uses Abt. With respect to the ship’s stabalisers she uses Naiad. 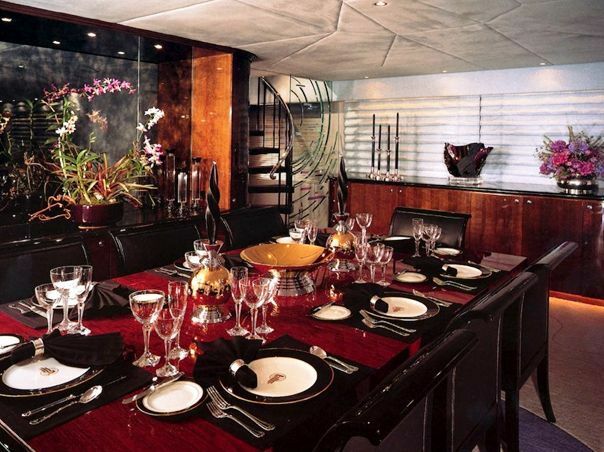 The good sized luxury yacht M/Y LADY ZELDA can accommodate up to 10 guests and has 6 qualified crew. 39.6 metres / 130 feet. Giving the combined power of 2880 HP /2119 KW. John Deere 2 times 85 kilowatts, 1 times 30 kilowatts. The luxury yacht LADY ZELDA displayed on this page is merely informational and she is not necessarily available for yacht charter or for sale, nor is she represented or marketed in anyway by CharterWorld. This web page and the superyacht information contained herein is not contractual. All yacht specifications and informations are displayed in good faith but CharterWorld does not warrant or assume any legal liability or responsibility for the current accuracy, completeness, validity, or usefulness of any superyacht information and/or images displayed. All boat information is subject to change without prior notice and may not be current.